As a new mom, there are plenty of things to worry about when it comes to your baby’s safety and health. BPA, a chemical often found in plastics, is a danger of which many moms are unaware. This type of plastic is sturdy and colorful, making it a popular choice for sippy cups, bottles, baby toys, and even baby food and formula containers, which are often lined with plastic. However, BPA can have serious consequences, particularly in babies and small children. Removing this plastic from your life before and after your child is born is critical. 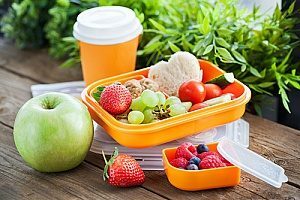 By purchasing safe plastics, like those that comprise bento lunch boxes, your life can become simpler and safer in more ways than one. Cells and tissues are particularly delicate during fetal development, and BPA exposure during this period can be seriously damaging. Studies have shown that exposure to BPA can cause the placenta to malfunction, preventing vital nutrients from reaching the growing baby. After birth, children may experience enlarged prostates and a higher risk of prostate cancer, genital alterations, and earlier puberty. Prenatal exposure can also affect brain development. Expecting mothers should avoid eating or drinking from containers that contain BPA to help prevent their unborn children from being exposed to the chemical and potentially affecting their future health. BPA can also affect infants if they are exposed to the chemical after they are born. It can cause certain types of cancer, heart problems, and possibly even obesity, diabetes, and ADHD in adults. 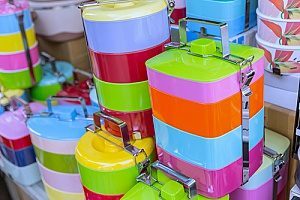 In children, the negative ramifications of BPA may be more pronounced, as children are still growing and their bodies are less efficient at removing harmful substances from their systems. While more research is necessary to fully understand the effects of BPA on humans, there are several pieces of animal-based research indicating that BPA can be just as harmful to people as to animals, and it is important to eliminate the amount of BPA plastics in your life. To protect your children from harmful BPA chemicals, avoid using plastic containers with BPA in them while pregnant and breastfeeding. Carefully check the labels of infant formula, baby food, and bottles before purchasing them for your child, and do not heat plastic that could contain BPA, as this causes the chemical to leach out into food and enter your system. Many canned goods contain BPA in the linings of the can, so consider switching to fresh or frozen foods instead. If you need to buy plastic products, ensure that they are safe for your children and for the environment. Many plastics with the numbers three and seven on the bottom of the item may contain BPA, but there are plenty of others that can protect your family. Safer plastics have significant benefits for your family and the environment. Using BPA-free plastics decreases the likelihood that your children will ingest harmful chemicals, giving you peace of mind and one less thing to check on before giving it to your child. Some eco-friendly plastics are cheaper for manufacturers to produce because they can use more efficient processes to make them. These savings are often passed on to consumers like you, helping you spend less on everyday items. Using safe plastics can also have a positive effect on your community and the environment. Many of these plastics are also eco-friendly and made from materials that are easily recyclable or compostable, such as plant matter. This saves space in landfills and protects animals from accidentally ingesting plastic parts that could choke them or BPA that could damage their health. Their manufacturing efficiency also means that fewer resources, such as oil, can be used in their production, reducing dependence on oil and lessening the need for harmful fracking and drilling practices. These extra benefits ensure that while you’re protecting your family, you’re also doing the environment a favor. It can be difficult to replace your plastic containers with safer, healthier options for your family and the environment. Bento lunch boxes from Kangovou can help simplify the process. They come in two sizes and are made with BPA-free plastic lids and stainless steel container bodies. The double-walled construction ensures that hot and cold foods will stay at the perfect temperature without transferring to the outside of the box which makes them easy to handle. Each of the bento lunch boxes contains a sliding divider that helps parents pack a full meal in each one and eliminates the need for multiple plastic containers and storage materials. The dividers also ensure that each meal is portioned correctly to provide your children with nutritious meals that energize them all day. Learn more about how bento lunch boxes from the Kangovou bento lunch box company can help keep your family safe and provide convenient storage for nutritious foods.